One of the most distinctive features of Data Science, as opposed to working with databases, Business Intelligence or other data professions, is its heavy use of statistical methods. At the first appearance of computing science, programs and algorithms were created to deal with the large amounts of calculations required in statistics. One of those implementations was the “S” programming language, invented in the mid-1970’s. Based on those concepts, the “R” environment was created by Ross Ihaka and Robert Gentleman in New Zealand under the GNU license. Interestingly, it’s written in C, Fortran, and R itself. It’s one of the premier languages and environments you can use in Data Science. It has amazing language breadth, and it can be extended through the use of “packages” – there are SO many packages out there, your first task in using R, it seems, is learning what is already written so you can leverage it. Enter Revolution Analytics – a company that changed R to include more features and capabilities to correct these issues, along with a few others. They have a great name in the industry, bright people, and great products – so Microsoft bought them. That means the “RRE” engine they created is going to start popping up in all sorts of places, like SQL Server 2016, Azure Machine Learning, and many others. But the “stand-alone” RRE products are still available, and at the current version. 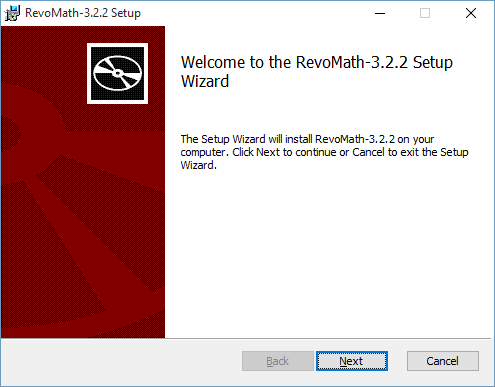 Microsoft acquired Revolution R and renamed it to Microsoft R – So that’s what we’ll install. Microsoft R builds on the R engine, so we’ll need that first. 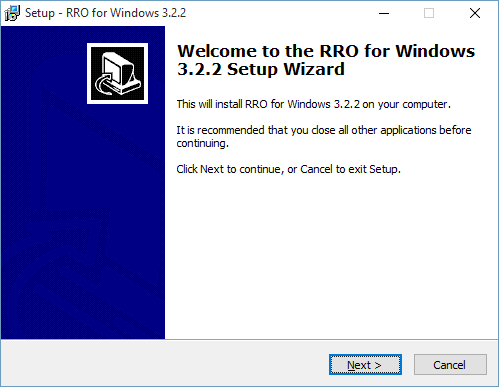 However, the installation for Microsoft Rhas a dependency on the version of R we install, and as of this writing that’s 3.2.2 for Microsoft R Open (MRO) and 3.1.3 for Microsoft R Enterprise (MRE). More on those choices in a moment. Once the download completes, select your language and “Next” from the Welcome panel. Select “Next” after you read the Information panel, then “Next” again at the Select Destination Location panel. At the Select Components panel, select “Next” again, and for all subsequent panels unless you want to change the defaults – although you don’t need to change anything for RRO or RRE. Since we’re running Windows during this installation, we select the link next to that platform. For this installation, we can take all the defaults. I did add the icon to the quick launch area, since I plan to be in R quite a bit. 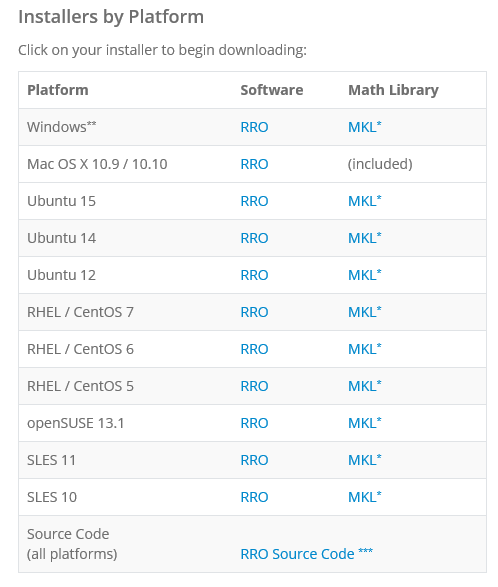 After we install the main RRO package, we’ll want the math libraries. You can see that at the download site, just to the right of the installation for the Windows package we just launched. Click that “MKL” link, and once again, take all the defaults. We have two new folders on the Windows Start Menu. 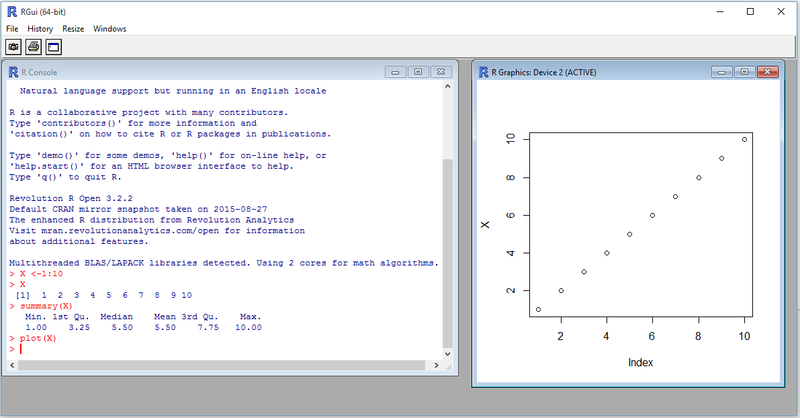 One is for R, and the other is for Microsoft R.